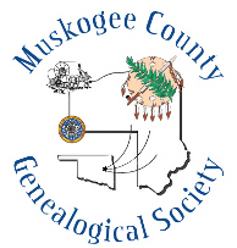 Those of you in the Muskogee, Oklahoma area are invited to attend the Muskogee County Genealogical Society's meeting on Thursday, February 23, 2012 at 6pm in the Grant Foreman Room, Muskogee Public Library, 801 W Okmulgee Ave, Muskogee, OK 74401. The Muskogee County Genealogical Society was established in 1983 to provide education and support to those interested in family history research. The society contributes to the Local History and Genealogy collection at the Muskogee Public Library and other genealogy and history related projects and is a member of the Federation of Genealogical Societies. Ol Myrt here is dumbfounded to read Book Venders Banned from the RootsTech Exhibit Hall posted today by Leland Meitzler. FamilySearch has made a huge blunder here, painfully hitting these vendors quite literally in the wallet. I'd even characterize this as an unfair business practice. Mr. Myrt and I felt it was so important that Martha Mercer of Mia's Books also vend at RootsTech 2012 that we offered her space in our downtown time-share condo to compensate for her coming all the way from her Ohio base of operations. Leland, Martha and other book and magazine vendors have already beefed up their inventories in anticipation of high sales volume from what we all calculate to be the single largest conference in our field this year, if last year's RootsTech debut is any indication. This capricious RootsTech decision to exclude booksellers leaves these vendors with high inventories and no place to vend. For FamilySearch to have actively recruited Leland's RootsTech 2012 participation as recently as the September 2011 FGS Conference and now renege on the deal three months later is unthinkable. There was room last year in the RootsTech vendor hall for a large Microsoft display with ping pong, foosball and pool tables. What does that have to do with genealogy and/or technology? Were the Microsoft video games more relevant to genealogists than offerings by book, magazine and genealogy tee-shirt vendors? I think not. If I am wrong then perhaps we are to scan and immediately destroy our first edition Book of Mormon, along with the three family bibles from the late 18th and early 19th centuries. I think not. Last year we excused away a lot of logistical problems, but into year two, RootsTech should definitely have it's act together. I can only anticipate an immediate apology from FamilySearch, and a move forward to include any genealogy, history or preservation vendor. FamilySearch - the ball is in your court. Let's play nice. 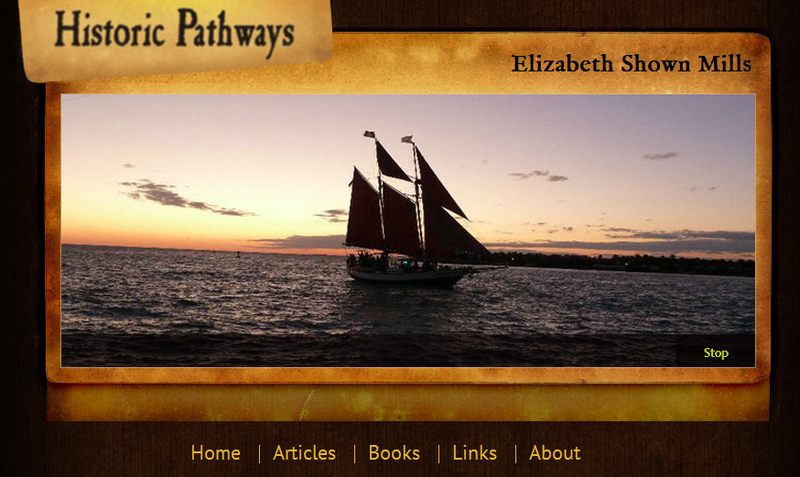 PS - I am currently listed as an "Official RootsTech 2012 Blogger" but this blog post may place that status in jeopardy. Even so, I remain in support of all genealogy product vendors. Over the past few days, Suzi has been working hard on developing her research log, but there is a difference between a research log and the final proof argument. Research Log - lists everything you've done to find info about an ancestor. You'll perhaps start with an ancestor interview and a compiled genealogy, then move on to abstracts or indexes of original records. If you are wise you'll then locate the original records on paper, film or fiche. A few documents may be available in scanned image format on the web. Some records may only be available in derivative form such as the published Pennsylvania Archives, where many of the original documents cited from the colonial period no longer exist. If the research log is kept in digital format it may be created in chronological order but can also be sorted by name, date, record type, etc. Proof Argument - is the conclusion you write after a reasonably exhaustive search of extant records for the localities where your ancestor lived. We learned in the online Inferential Genealogy Course with Tom Jones, CG that sometimes we have to look at records over a 150 year period to find information providing evidence of kinship or identity. Composing a proof argument is the process of inferential genealogy where you piece together documents to make kinship determinations, particularly where no single document has the information you require. YES, write it out, just like you are explaining things to Ol' Myrt here. You will be surprised at what your writing uncovers about the "completeness" of your research plan. Even if you only place the proof argument in notes for the ancestor or family, it must be clearly written to demonstrate careful consideration of all sources of information in the kinship determination. 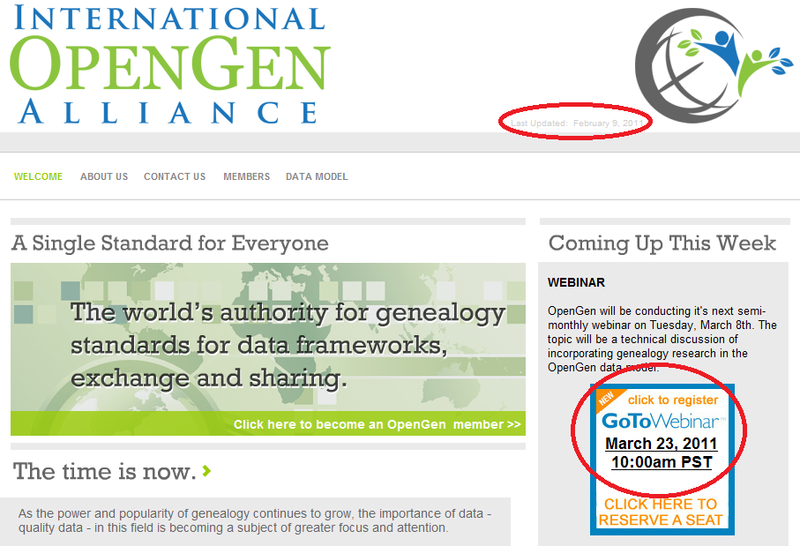 See: BCG's Genealogical Proof Standard. Keep in mind, if your cousin cites a source you haven't viewed personally, you can only cite your cousin's report about the source, not the original source. You are telling your reader that you trust your cousin's analysis of the documents in question. You cannot claim that analysis as your own. Your cousin cites an ancestor's will and probate record that you don't have a copies of at point A in your research. Initially, you can only cite your cousin's statement about the will and probate record, reminding yourself to look for at the court of jurisdiction with book, page numbers and file numbers as reported by your cousin. Your cousin's work is a derivative (abstract, extract or transcript) of the original. We do list your cousin's work on the research log since this is the source of the information you have at this point. At point B when you have obtained copies of the records in question, you can transcribe the documents and accurately extract pertinent information, citing the image copies of the original court records on your research log. Be sure to analyze the document, listing what questions it answers and what new questions are brought to light. Point C is where you would analyze and compare the information in the will and probate packet within the context of a broader record group search to evaluate the evidence and resolve conflicts that may arise. When you believe you have completed a reasonably exhaustive search, you can move on to point D, creating the "proof argument". More on that tomorrow. Now let's view all this from a different angle. Sometimes multiple copies of information that come to our attention are a matter of the author amending his previous publication due to additional research breakthroughs. found in Snippet view at Google Books. I am careful to mention they should consult the edition published in 1969 not the 1958 version. Worldcat lists the earlier version Christopher Gist of Maryland and some of his descendants, 1679-1957 also compiled by Jean Muir Dorsey and Maxwell Jay Dorsey and published in Chicago at the J. S. Swift Company. Careful review of both editions of the book will highlight changes in kinship determinations and constitute a small segment of a broadening search for info about Gist, Cromwell and Howard family lines. Sometimes multiple copies of information that come to our attention about an ancestor are a matter of copying and expanding the info based on new technology. Check out this 21 Oct 2011 posting on the Meridian Magazine website Capturing a Life: Remembering Mom by Carol Kostakos Petranek. Carol describes creating a memory book Our Story for her parent's 50th wedding anniversary in 1996. Carol says "In 2009, I took her to the Oral History Room at the Washington DC Family History Center and recorded her reminisces about childhood and other favorite topics." Since her mother's passing in October 2011, Carol is now scanning more photos and compiling an updated version of Our Story to honor her parents using online storage and publishing resources not available for the earlier publication. In this case, there are three versions of the information from the same source, Carol's mom. Each publication requires its own citation on Carol's research log. When composing the "proof argument" or conclusion about our ancestor's life and kin, we must carefully consider the provider of the information in the historical documents we've collected. Maybe I should post this at the Second Life Facebook page, since it is a follow-up on last night's Evidence Explained discussion. Background: 3-1/2 years ago (when I was VERY green) a distant cousin sent me a decendancy report with lots of citations and notes. He sent it as a way of helping me learn what I should do. At that time I just used it to explore how to do in Reunion what he had done in Family Tree Maker. I saved the entire email correspondence and went on to the next thing. Since working with the Greenwood book, Researchers Guide to American Genealogy, I have been creating the logs I should have done then. A death listing which was on "Rootsweb.com" when Mike compiled this report is NOW on "ingenweb.org". I am building my source citation now. I am not sure if this reference to the material supplied by Mike should include the location where he found the information or not. If so, do I also cite the new location? Or does all this that I'm outlining here go into the Search Log? The basic question is: which approach will give the best information to someone wishing to follow my research? I am making a screen capture of the website and saving it to my files. I always do that since the web tends to evaporate. Explaining the journey we take in our ancestral quest is very important, and your research log is a great way to keep track of things. Yes, cite every instance of information you find about your ancestor whether email, online, or off line. Compiling an accurate research log permits folks to see what sources you considered when compiling info about each ancestor. In comments on your research log, note the source of death info on IndianaGenWeb site appears to be same as provided to you via email years earlier. If the information on RootsWeb.com now on IndianaGenWeb's site is merely a new web address for the same page, then list both, and the approximate dates you consulted each site. This has happened to a lot of USGenWeb sites that formerly had their own sub-domains at RootsWeb, but chose not to have their work incorporated into Ancestry.com properties after Ancestry purchased RootsWeb. I do have a follow-up blog post with some additional ideas for dealing with "who provided the info". NOTE from DearMYRTLE: The following was received from FamilySearch.org. Please address all inquiries to support@FamilySearch.org. SALT LAKE CITY— FamilySearch International announced today a change in its chief executive officer. Effective January 2, 2012, Dennis C. Brimhall will succeed Jay L. Verkler as CEO of FamilySearch. Mr. Verkler will continue in a consulting capacity for a few months to ensure a smooth transition. It is the business culture and practice of FamilySearch, as an organization sponsored by The Church of Jesus Christ of Latter-day Saints, to regularly rotate its senior leaders. This pattern assures the forward momentum of its core programs. Over the past decade under Mr. Verkler’s leadership, FamilySearch has shifted its vast stores of genealogical records and resources to a digital, worldwide, internet-based focus. FamilySearch has developed partnerships with many genealogy and technology industry organizations, helping form a broad and deep industry community including companies, societies, and archives. FamilySearch has helped make the world’s historic records easier to access online, publishing over 2.4 billion names in historic records at familysearch.org, including 870 collections from over 50 countries indexed by over 250,000 volunteers. During this period, FamilySearch has also created an unprecedented, free global service organization that engages over 70,000 volunteers who provide needed local and online support to research patrons and the genealogical community. FamilySearch has pioneered genealogical search, record linkage, imaging, crowd-sourcing, and digital preservation technologies. Mr. Brimhall comes to FamilySearch with a deep background in management. He is a graduate of Brigham Young University and Northwestern University’s Kellogg School of Management. He recently served for 17 years as president and CEO of the University of Colorado Hospital in Denver from 1988 until 2005. 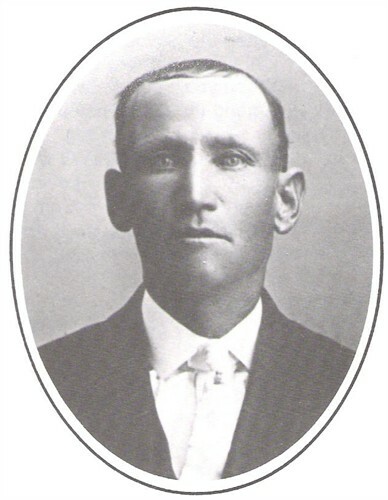 Since then Mr. Brimhall has held positions of increasing responsibility in The Church of Jesus Christ of Latter-day Saints. FamilySearch looks forward to further strengthening its commitment to the global genealogical community, to publishing and digitizing the world’s records, and encouraging all people to discover, preserve, and share their family histories. Well, how did you do on your assignment to set up Google Reader while Ol' Myrt here was out on medical leave? 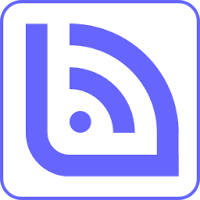 Some have written to exclaim they wished I had pushed them into this sooner, for it streamlines one's inbox and places all those posts at an easy-to-access website. Mirian Pierre-Louis' blog post My Genealogy Software Upheaval posted at Marian's Roots and Rambles prompted many comments worth your review. 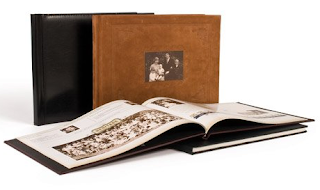 A man I met at the Atlanta Family History Expo this past weekend raved about the My Canvas books he created for three members of his family. Though two of the books had issues with faulty binding three months later, Ancestry.com was quick to replace all three. He said he liked the variety of layout templates and noted the difference between a printout of the book pages and the final product was simply stunning. WTG Ancestry! Ol' Myrt purchased FamilyTree Maker 2012 strictly for the "sync" capability. It doesn't work reliably. I initially synced to my Ancestry Member Tree, but the second time I went to view it in Family Tree Maker, I couldn't open the file. I uninstalled, and reinstalled, but it won't let me work with that tree whatsoever. No wonder the Family Tree Maker 2012 beta test message board has been removed. Talking with attendees at the Atlanta Family History Expo Nov 11th & 12th and at the Genealogical Society of Pennsylvania's conference Nov 5th, all but one had similar experiences. My advice - wait for a FTM 2012 update or AncestorSync, whichever comes first. 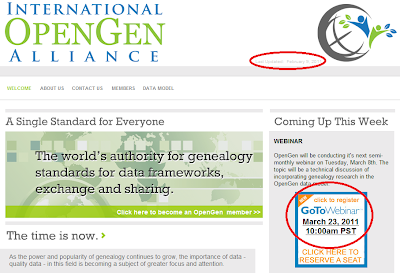 If you are interested in attending an online genealogy class, be sure to see what those from throughout the genealogy community are offering. Visit the universal GeneaWebinars calendar and blog. You can bet now that Myrt is slowly but surely feeling better, I'll get back to doing regular DearMYRTLE Workshop Webinars. With Veterans Day here in the US and Remembrance Day elsewhere in the world, it seems the genealogy websites are stepping up to the plate to share their collections with us on a free basis. www.FamilyRelatives.com reminds us: "Armistice Day also known as Remembrance Day is on November 11 and commemorates the armistice signed between the Allied Forces and Germany for the cessation of hostilities on the western Front which took place at eleventh hour of the eleventh day of the eleventh month of 1918." 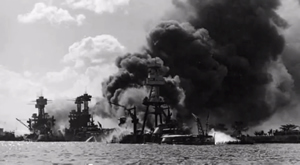 In honor of Veterans Day, discover the stories of brave family members who served in conflicts ranging from the American Revolution through WWII at Ancestry.com. Be sure to download the military records guide. You might also consider this WWII Memorial book by my friend Duane A. Lempke. I've written about his book in the past. 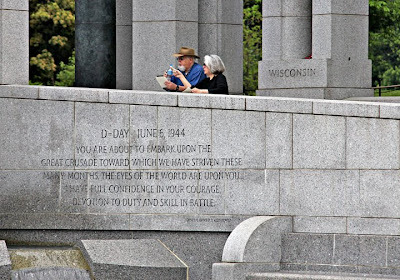 I cannot wait until Memorial Day to tell you about TRIBUTE, a thoughtful photo journey through the National WWII Memorial by Duane A. Lempke, because I am quite sure you'll want to obtain a copy in advance to share with your loved ones. Pictured above is Duane with Congresswoman Marcy Kaptur of the 9th Congressional District, Ohio. She endorsed TRIBUTE last year. The reason for the meeting was to see the final results of a TRIBUTE print now. Newbie DearREADERS should know that Duane is retired military, and is now a professional photographer. His award-winning book about the World War II Memorial in Washington DC first caught Ol Myrt's eye this past winter. This photo was taken by professional photographer Duane Lempke. Ol' Myrt and Mr. Myrt are standing just above the inscription for D-Day.